This is the Racers Edge "Silver Edition" Transmitter bag. This transmitter bag provides passed protection for your transmitter and is large capacity so it can store large transmitters such as the Airtronics M11, Futaba 3PK and JR R-1. The transmitter bag also features an expandable pouch which is awesome for storing spare batteries, spare receivers, spare crystals and spare servos. 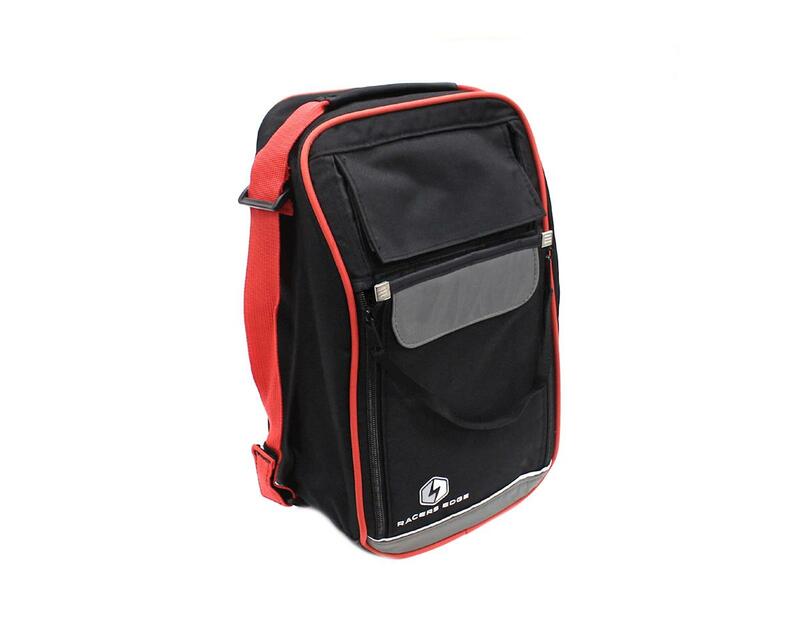 This bag is constructed from rip-stop nylon and the bag features a padded interior and leather support at the bottom. The bag can be carried by it’s rugged double stitched nylon carrying handle or can be attached as an accessory to the Racers Edge 1/8th scale buggy bag.